Historic hotel, opened in 1969 and periodically renovated, is located in a wonderful position in the heart of Lignano Sabbiadoro. 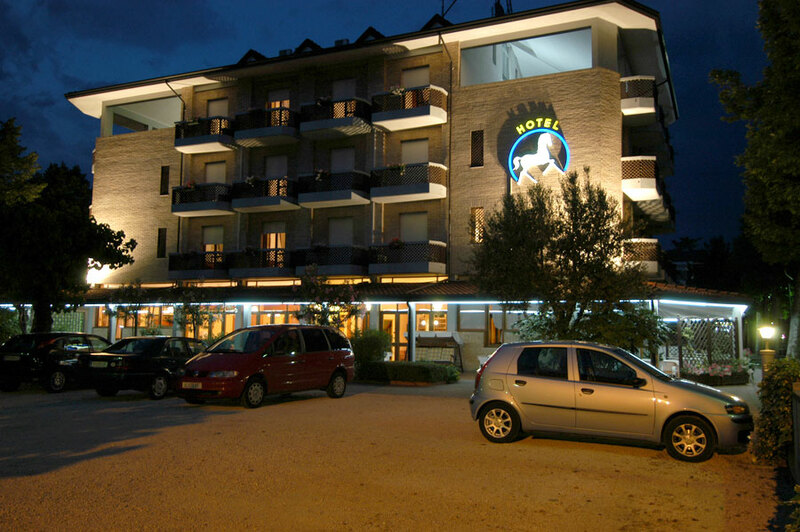 Immersed in the green of a quiet zone near the mini-golf and the tennis courts, the Hotel Al Cavallino Bianco is 500 metres away from the sea and it is very close to the open-air theater Arena Alpe-Adria and the commercial street. 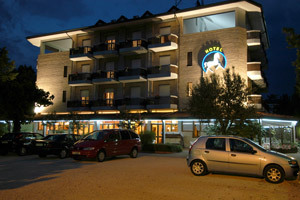 With a large parking, cozy outdoor bar, internet point, free wi-fi and free use of bikes, the hotel has the features of a comfortable, quiet, family owned hotel. Pets are welcome, but the owners have to bring with them all the necessary to make them sleep and eat, also we require a small extra € 3.00 / night up to a maximum of € 30.00.